Tell the EPA "Don't Censor Science!" Before Scott Pruitt was forced to resign as the head of the Environmental Protection Agency (EPA), he proposed a rule that would radically limit the EPA’s ability to use the best science to protect public health and the environment. Now it's time to make sure the bad rule he left behind gets the boot, too. The rule Pruitt left behind put limits on the science that can be used when the EPA evaluates the health effects of a pollutant or chemical. 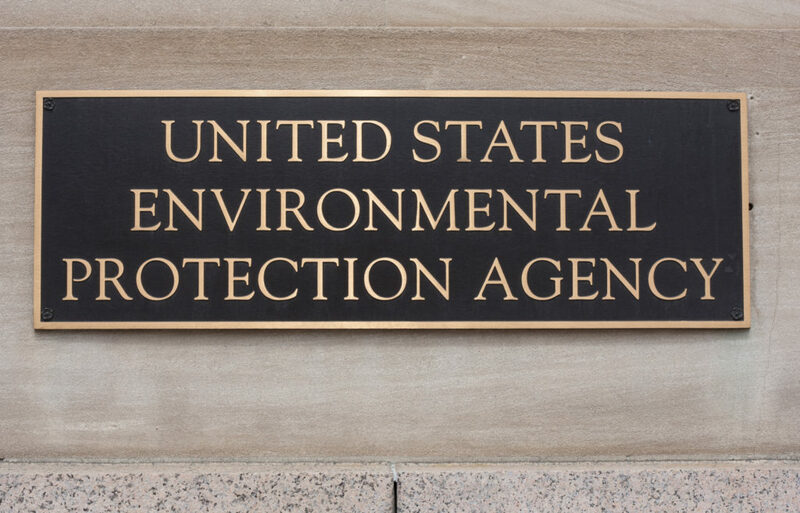 It would require studies to make raw data publicly available—including identifiable health and medical records that are protected by HIPPA laws—otherwise the EPA can't use them in their decision making. It’s being called the “Strengthening Transparency in Regulatory Science” rule but it’s nothing more than a thinly-veiled give away to big polluters. Restricting the EPA’s ability to use the best available science and public health research in rule-making will weaken public health and environmental protections, which will result in more people being diagnosed with breast cancer and other diseases. The EPA plays an essential role in protecting the public from involuntary environmental exposures to harmful chemicals and the agency should use the best available science to ensure evidence-based rule making that protects public health. Tell the EPA to abandon the proposed rule and restore the agency’s ability to use the best available science to prevent cancer. I am writing to urge you to abandon the proposed “Strengthening Transparency in Regulatory Science” rule and restore the Environmental Protection Agency’s (EPA) ability to use the best available science in rule making. As someone concerned about exposure to synthetic chemicals that may increase the risk of breast cancer, I recognize that the EPA plays an essential role in protecting the public from involuntary environmental exposures to harmful chemicals. I am gravely concerned about the damaging impact the proposed rule will have on public health. High-quality, peer reviewed, public health studies and epidemiological studies provide essential information about environmental health and are key to sound, evidence-based policy. However, the proposed rule would require that in order for a human-health study to be part of the EPA’s rule-making about the health effects of a pollutant or chemical, raw study data, including individual medical records, must be publicly available. This would violate people’s privacy and be both unethical and conflict with existing privacy laws. Restricting the EPA’s ability to use the best available science and public health research in rule-making will weaken public health and environmental protections, which will result in more people being diagnosed with breast cancer and other diseases. I urge you to reject this proposed rule that would have a devastating impact on public health and environment policy. Thank you for taking action on this important issue! Now encourage others to act by spreading the word on social media! Hello, my name is [your name] and I'm calling to urge [Representative's name] to vote "NO" on Right to Try legislation. As someone [explain how you’ve been affected by access to experimental drugs or why you care drug and patient safety], I do not support Right to Try bill S.204. This misleading legislation offers nothing other than false hope to patients and their families and would harm patient and drug safety by removing FDA oversight and any medical, legal, or financial protections for patients. I urge [Representative's name] to oppose Right to Try. Thank you.